How do I lead my Club? Now that you're a Club leader, here are some tips for making a great Club! For cat lovers in Texas who love to bet max in Wicked Wins VIP, donations are delightful but not required. We love to gift and chat! Join if you play every day and love to meet and chat with new people. We are in it to win it, play & donate max every day or you will get kicked! Set the Club type, picking the type that best matches your Club's goals. It can always be changed again later if you change your mind. You can do this by going to "More Options" > "Choose a Club type", and changing the Club type. Remember to tap Save Changes to save those changes! Set the Club to "Private" if you only want specific people to join. You can do this when creating a Club, or after by going to "More Options" > "Edit Club", and changing the option under "Who Can Join". Remember to tap Save Changes to save those changes! Share the Club. From the Club page, tap "Share Club" to share a link with your family and friends outside of the game. This will invite them automatically to your Club. Invite others to join your Club! Remember, you can only invite someone not in a Club, so send them a Friend Request and then an Inbox message, if you'd like them to join but they're in another Club already. Invite your in game friends, to make it easier to chat and play with them! Stay in touch with team members via Club chat, which you can select from any slots table. This is a great way to communicate with Club members who are online when you are. Friend everyone in your Club, so you can send Inbox messages to offline members. We are also working on more ways to keep in touch with offline members. Keep members engaged and having fun in way that fits your Club style. For a just for fun' Club, send them gifts or chat in the slots. For a more competitive Club, set goals for the week. Encourage Club members to participate in Daily Club Challenges to get bonuses for the Club and members! Review member stats periodically to understand who is being active in the Club, especially in more competitive Clubs. As the leader, it's up to you to encourage members to play more, chat more, or fund more. Currently, the best method is via personal Inbox messages. You can see Funds contributed from the Members page, and the Challenge page shows the top 10 Challenge contributors. 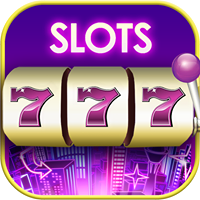 Other members may be contributing though – if they're in the slots and playing, they're contributing! We're also working on making it easy to see everyone's Club point contributions. Stay active, to keep the Club going. If you decide that being a Club leader isn't for you though, that's ok! If you leave the Club, the Club leadership will pass to the next person who joined the Club after you, and you can rejoin the Club to be a member instead. Compete with other Clubs to get to the top of the All Clubs list, and in upcoming Club tournaments. Check "Requests" to see if anyone's asked to join your Club. Participate in Club tournaments, once they're out! Leave the description blank. This is the best way to let everyone know what your Club is all about, even if it's all about just having fun! Kick active, friendly members. Having active members helps the Club grow. See Kicking for more information. Miss out on Club challenges – playing in the slot games to complete Club challenges allows everyone in the Club to collect the Club Challenge rewards each day. Encourage your members to play as well! Forget to accept Club requests from those who would like to join. Worry about the Club reputation points if you're running a "Just for Fun Club" – lay back and have fun!